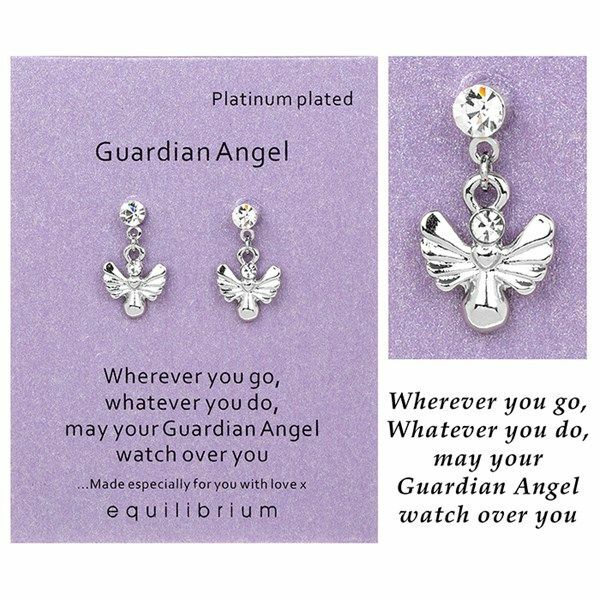 Equilibrium - Platinum Plated Sentiment Earrings - Guardian Angel. Jewellery makes a great gift idea for him or her, and our Equilibrium Jewellery gift collection is full of amazing pieces for all ages or special occasions. Beautifully designed and prefect gifts, ideal for Birthdays, Easter or Mother’s Day.